A proposed $40- to $50-million waste-to-energy project on Saipan will not only provide cheaper electricity but also help prolong Marpi landfill’s lifespan, Wisconsin-based Alliance Federated Energy and CNMI’s Joeten Enterprises, along with lawmakers, said yesterday. Under the proposed project, the CNMI government will have to supply trash to Alliance Federated Energy and then buy the “byproduct” energy from the firm at a cost much lower than the almost 40 cents per kwh that regular customers currently pay for their power. “It will be at no cost to the government,” said Norman Tenorio of Joeten Enterprises, a local business partner for Alliance Federated Energy. Tenorio accompanied AFE president Ben VanKorn during a presentation before lawmakers yesterday morning. They also plan to meet with the governor, the Department of Public Works and the Commonwealth Utilities Corp. to discuss their proposal. AFE and Joeten have been studying the project’s viability on Saipan for quite some time now. Gov. Eloy S. Inos, in a separate interview, said he would like to get more information from the investor about this alternative energy. He said he would like to find out, for example, whether there’s enough trash to generate energy. For some 100 tons of trash, AFE will be able to generate up to 5MW or more of energy every day. Dela Cruz said Marpi landfill’s cell number 1 still has some 40 feet to accommodate additional trash considering there’s daily compacting. He said if the proposed waste-to-energy project pans out, then the CNMI may have a breakthrough in how it handles its daily trash and it need not build additional cells to take in the trash. They will also cut landfill maintenance costs by having trash converted into energy. “If that project will help prolong the life of this landfill and at the same time give us a cheaper supply of power, then that should be something to consider,” said Dela Cruz, adding that AFE officials also visited the Solid Waste Division in Lower Base yesterday afternoon. The Wisconsin-based Alliance Federated Energy is a developer of renewable energy and related infrastructure projects focused on environmentally sustainable technologies, with a specific focus on plasma gasification technology to generate electric and thermal energy and bio-fuels, its company profile says. Gasification is the process in which biomass such as waste from the Marpi landfill or trash from homes and businesses is converted into a fuel source. House Speaker Joseph Deleon Guerrero (IR-Saipan) said he supports AFE’s proposal. “Even though renewable energy is an important component of this, addressing our solid waste issues in itself justifies having this type of project,” Deleon Guerrero said. “With regards to lowering the cost of power, the numbers have yet to be discussed until the company finalizes its assessments. All things considered, I believe that this will be good for the CNMI,” he said. Rep. Anthony Benavente (IR-Saipan), chairman of the House Committee on Natural Resources, said AFE’s proposed waste-to-energy project is a “viable” source of alternative energy for the CNMI to lessen its dependence on fossil fuel and lower its utility costs. Primove, a subsidiary of transportation giant Bombardier, just announced plans to test wireless induction charging on public buses in Manheim, Germany! 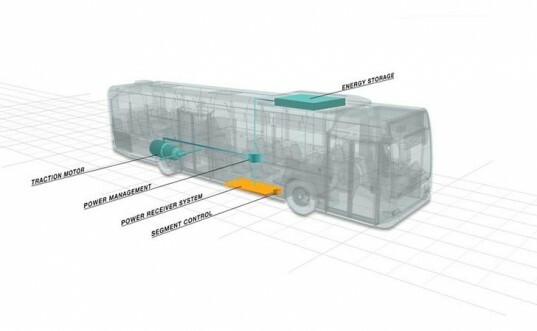 In a few months the company will outfit two buses with “invisible” inductive technology that powers the vehicles with wireless chargers installed below the asphalt of existing bus routes. Induction works by creating a magnetic field using conductors. Primove uses rods of varying lengths buried underneath the asphalt to act as those conductors. The magnetic field then generates electricity when another conductor, in this case a vehicle, comes in contact with the field. The electricity that’s generated is then picked up by the undercarriage of the vehicle and routed to its battery. Charging can happen when the vehicle is stopped or even just moving over the induction surface. When there is no vehicle within its field, the charger is inactive. And according to Primove, its induction rods won’t interfere with cell phones or pacemakers. The best part about this wireless technology is that it isn’t susceptible to water or the weather. A key benefit to Primove’s inductive charging system is that it allows for continuous electric bus operation due to high-power charging locations embedded within existing bus routes. Another benefit is that by extending battery life with intermediary inductive charging, electric vehicle batteries can get smaller and make more room for passengers. Plus, induction charging lowers the cost of ownership of an electric vehicle as you can charge your battery for free by just driving on the streets with embedded chargers. Denver, Colorado based waste gasification specialist, Vista International Technologies, (OTCBB: VVIT), has begun construction on its pilot waste to energy project. The company said that the project will utilise the next generation of its waste gasification technology, the MFG-8 Thermal Gasifier. According to VVIT the Thermal Gasifier processes fuel converted from feedstock such as waste, biomass, tyres and virtually any solid carbon based material into useful energy without harming the environment. Gasification and partial oxidation take place in separate gasification and oxidation areas of a single chamber, and final complete combustion takes place in a fire tube before entering the boiler. The company said that the development of its pilot facility is the beginning of a multiple phase plan by the host company to reduce the amount of waste it landfills. Upon successful completion of this project, VVIT said that the second phase of the plan will involve the installation of a larger, permanent waste to energy installation at the host company’s site. VVIT added that the project is being fully funded by the host company. “The beginning of construction on our initial third generation unit represents a giant step forward for the company,” commented CEO Tim Ruddy. A project in Hull, UK which will feature a 25 MW waste gasification plant as well as a 3 MW anaerobic digestion biogas to grid injection facility has been awarded a £19.9 million EU grant. An innovative bioenergy technology, which transforms multiple waste products into heat and power has won ‘Best Technological Breakthrough’ at the national Climate Week Awards. It is an extraordinary fact: during my own lifetime the global population has more than doubled from around three billion to more than seven billion. Equally sobering is that this growth will continue unabated well into the future and by the time I reach retirement (assuming it hasn’t been banned by the time I get there), there will be around three times as many people on the planet as when I was born. In case you’re wondering, most of this growth has been and will continue to be in the cities of the developing world and this is a huge force for global technological and economic change. In particular, experienced watchers of such things expect this general population growth to be accompanied by especially strong increases in the size of the middle classes of these expanding economies, which of course will result in a sharp increase in demand for all kinds of materials and chemicals as new generations strive for improvements in living standards and material goods. The potential environmental, political and economic implications raised by these mind-boggling trends are almost limitless but let us focus for a moment on one area where these forces are already having an impact: the rapid growth of passenger and goods transport in Asia. This has already led to big increases in the demand (and the cost) of many scarce and strategic metals, such as rare earth elements for use in electronics, as well as platinum, palladium and rhodium for use in catalytic converters in vehicles. And I am sure it will come as no surprise to hear the demand for petrol and diesel is also rising in Asia in tandem with the growth of transport as a direct result of the self-same forces. Now, as I am sure you know, when petrol fulfils its destiny by being burnt to create the power to drive our vehicles forward, the last thing the resulting gases see before they reach the outside world is a catalyst, i.e. the catalytic converter in the car’s exhaust pipe. Perhaps you are less aware that, not only are catalysts present at the end of petrol’s life but, like some technological priest or physician, they are also there at its birth. This is because catalysts are used to produce a large proportion of the petrol we consume, especially through a very important process known as Fluid Catalytic Cracking (FCC). Around one third of all crude oil is processed by a FCC unit. Crude oil is actually a complex mixture of different types of oils but rather inconveniently it does not contain enough of the lighter oils we need for petrol and diesel production. FCC technology is so widespread because of its very valuable ability to break down heavier oils into lighter oils more suitable for petrol and diesel. At the heart of this process is a catalyst. Many catalysts rely on the properties of precious or valuable metals to accelerate a particular chemical reaction, whilst the physical structure of the catalyst is provided by a ceramic (or less frequently a metal) substrate onto which the metal particles are attached. By contrast, the catalysts employed in the FCC process do not use a metal but instead rely on a highly porous clay-based mineral (zeolite) to provide both the chemical and physical properties required. However, they are not free from the influence of metals because crude oil contains small amounts of various metals, including nickel and vanadium, which gradually build up on the catalyst and eventually prevent the catalyst from functioning properly. At this point the catalyst must be discarded and fresh catalyst added. The increasing demand for motor fuels is leading to the generation of more spent FCC catalyst. Meanwhile, increasing levels of trace metals in crude oils and improvements in catalyst design are leading to an increase in the levels of nickel (which is both hazardous and valuable) in those spent catalysts. Taken together, these things provide an ideal opportunity for plasma technology. For many years plasma systems have been recycling precious metals and an inert construction material from a wide range of spent catalysts. The plasma treatment of spent FCC catalysts is now also receiving considerable attention as this same metal recovery process can be used to destroy the hazardous nature of the spent catalyst whilst recovering the nickel for re-use in the metals industry. It is all too easy in a Western country with a dismal economic forecast to lose sight of the enormous growth in demand for materials and chemicals that will surely come from Asia and other parts of the developing world as their urban populations expand in the decades ahead. Such demands create great opportunities for recycling technologies which can meet these economic and environmental challenges and we believe plasma arc technology is ideally suited to make its own valuable contribution. Dr Tim Johnson is Technical Director at direct arc plasma systems specialist, Tetronics International. With one in four of all products manufactured requiring platinum group metals in some regard, it’s unsurprising that demand for these costly yet highly useful metals has surged. Primary sources have struggled to keep pace and recycling is on the rise. WMW investigates how plasma arc technology is helping recyclers to bridge the gap between supply and demand. Tetronics has been selected by Japan’s Furuya Metal to supply a new plasma system for the reclamation of Platinum Group Metals from spent catalysts. TAMPA, Fla., March 18, 2013 /PRNewswire/ — MagneGas Corporation (“MagneGas” or the “Company”) (NASDAQ: MNGA), a global gasification technology Company that safely converts liquid waste into a hydrogen-based metal working fuel and a clean natural gas alternative, presented its patented liquid waste to energy solutions to the House and Senate Science and Technology Committee at the Georgia State Capitol. MagneGas Chairman and Chief Scientist, Dr. Ruggero Santilli , former Harvard and MIT scientist, developed the Company’s patented Submerged Plasma Arc Flow process which gasifies liquid waste including sewage, FOGS (Fats, Oils, Greases), animal waste and spent vehicle fluids, and creates a clean, burning hydrogen based fuel that is essentially interchangeable with natural gas. “The benefits of the MagneGas technology are extremely impressive and a game changer in the energy arena. MagneGas can safely eliminate liquid hazardous materials while providing the state with its own natural gas production,” commented Harry Geisinger , Vice Chairman, Georgia House Energy, Utilities & Telecommunications Committee, and Executive Committee member to the Southern States Energy Board. Founded in 2007, Tampa-based MagneGas Corporation (NASDAQ: MNGA) is the producer of MagneGas™, a natural gas alternative and metal working fuel that can be made from certain industrial, municipal, agricultural and military liquid wastes following the receipt of appropriate governmental permits. For more information on MagneGas, please visit the Company’s website at www.magnegas.com. The U.S. Department of Energy’s (DOE) National Renewable Energy Laboratory (NREL) and Argonne National Laboratory (ANL) today announced the release of the Transportation Energy Futures (TEF) study, an assessment of avenues to reach deep cuts in petroleum use and greenhouse gas (GHG) emissions in the transportation sector. The TEF project was funded by DOE’s Office of Energy Efficiency and Renewable Energy. The study’s steering committee included the Environmental Protection Agency, the Department of Transportation, academic researchers, and industry associations. Additional input was provided by transportation consultants from Cambridge Systematics, Inc. For more information, visit the TEF Website.